Karan is caught by the police for trying to break into Sherlyn's house. 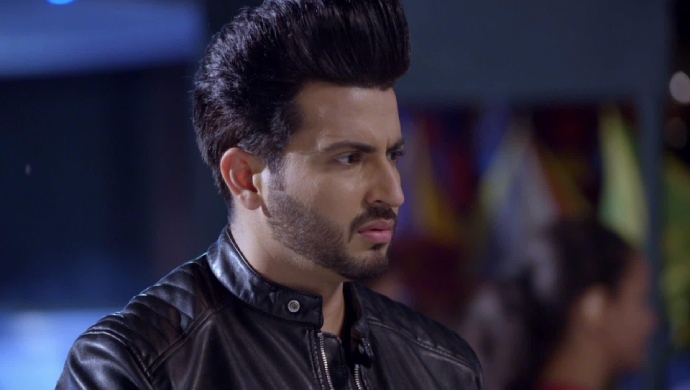 In tonight’s episode of Kundali Bhagya, Karan avoids telling Preeta and Rishabh where he is. While he is spying on Prithvi and Sherlyn, they notice him. However, they panic since Karan has trapped them inside their own house. Will they find a way to get rid of him at the door? Watch a sneak-peek of the next episode here. In the upcoming episode, Karan manages to get past the door and enter Sherlyn’s house. He enters the bedroom looking to find Sherlyn and Prithvi together. However, the whole house is dark and Karan is unable to see anything. When he enters the room Sherlyn begins screaming for help. Karan asks her to keep quiet and tell her where Prithvi is hiding. Just then the police arrive at the scene and arrest Karan for breaking and entering into Sherlyn’s house. Will karan be able to get himself out of this mess? Stay tuned for further updates.